Chad Miller is the co-owner of Food Fight! Grocery with Emiko Badillo providing all vegan convenience foods to the community while supporting local non-profit organizations. Food Fight! Grocery is located near 112th and Halsey in the heart of Gateway. We’re a vegan grocery / convenience store with two locations in Portland. We started our first store in 2003 at 41st and Division before moving to 12th and Stark in 2007. We opened our second location in Gateway in February 2017. The most rewarding part of our business is our events which support local non-profits and communities. We host non-profit fundraising events and raise donations for non-profits in our community. Junk Food! We are not a health food store and we don’t focus on diet trends. We’re an all vegan store with Twinkies, corn dogs, and all your favorite snacks. Do you have any events or promotions coming up? On the last Sunday of every month we donate 10% of our sales to a non-profit or community organization. Last month we donated funds to support Mental Health Providers Unite. Check out our Facebook page for all upcoming events. What are your favorite business activities in Gateway? The oil change at Cooper’s Auto Service can’t be beat and it’s always a good time at McGillacuddy’s Sports Bar. Food Fight! 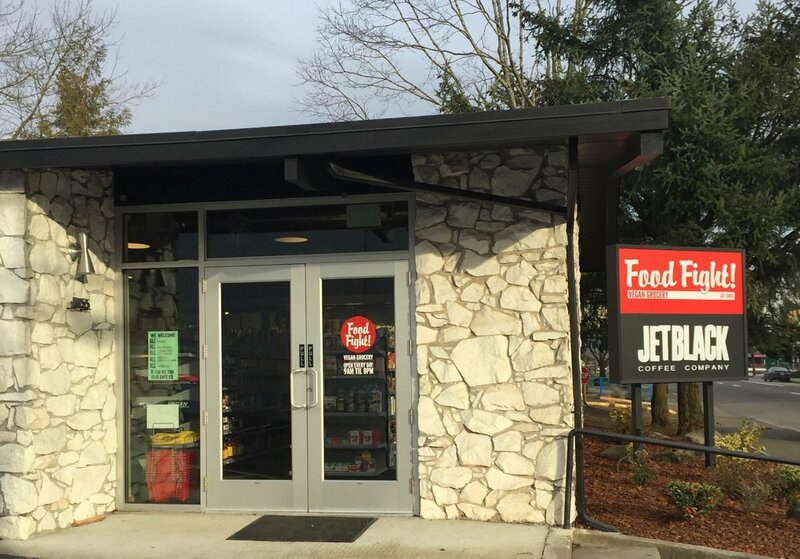 Grocery is located at 11155 NE Halsey St and is open from 9am-8pm, 7 days a week.